Running works your muscles and joints differently from walking, even at the same speeds. You can add intervals of running to your walking workouts to boost the intensity. You can run some of the course of 10K, half marathon, and marathons to finish under the time limit. It's good to know you have the option to go faster when you want to. If you've reached a weight loss plateau, the higher intensity of running can wake up your body systems to get to work making new muscle and burning stored fat during your workouts. If you're already outfitted for fitness walking, you won't need much more to transition to running. But if you've only been a casual walker, you may need to upgrade your gear. Get running shoes. Your feet will thank you if you make a trip to the best athletic shoe store in your area and get fitted for the right shoes for your activity. Wear workout attire, not street clothes. You'll need clothes that will give you freedom of movement and wick away the sweat. Drink: If you haven't been paying attention to good hydration with walking, you will need to do so with running. Drink 8 ounces of water before your training session, and sip a cup of water every 15 minutes during the session, and then drink 8 ounces after. 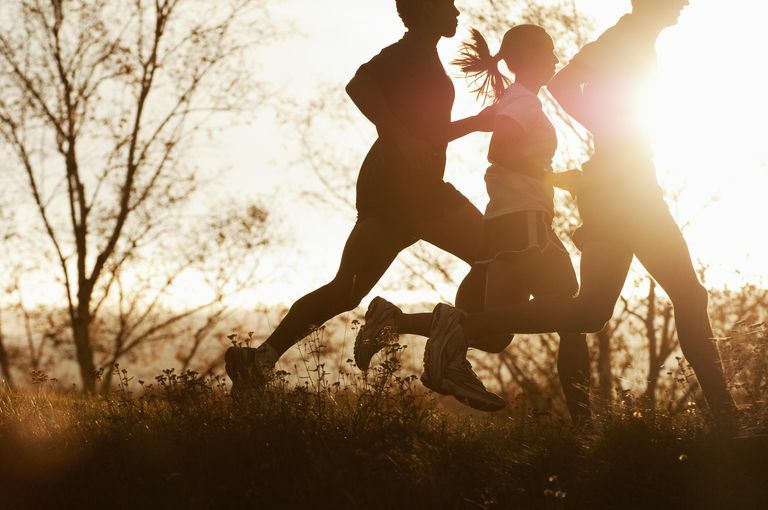 As you begin preparing your body for jogging, remind yourself that your body was meant to run. Your ancestors had to run to survive. Children run everywhere they can. It may feel awkward at first and you may tire swiftly, but stick with it and you'll reawaken your inner runner. Trainer Lorra Garrick, CPT offers this plan to start running. You can do it on the treadmill, indoor track, or outdoor path. Alternate running with walking. After warming up with walking for three to five minutes, start alternating running with walking. If you are using a running track, think of running the curves and walking the straights. Set a timer and run for one minute, walk for two minutes. Repeat several times. At first, try it for five repetitions and then resume walking for the rest of your usual walking time. Your running speed should be at an easy pace when you first start this program. Work on getting used to the running intervals rather than building speed. Even if you are used to walking, when you change to running you can get blisters, inner-thigh chafing from skin rubbing, sore ankles or shin splints. Do the intervals for a few weeks, and then if you feel up to it, try a nonstop run for 15 minutes. Keep it at an easy pace at first until you get used to the duration. Add five minutes with every session until you reach the length of time you normally devote to cardio. If you have difficulty running continuously, keep doing the run/walk intervals but increase the running time or your running speed. As you steadily increase your training, your joints and muscles will become stronger and able to support running. Before you begin any jogging, walk first for five minutes to warm up your muscles and joints. Always start well-hydrated and be sure to drink enough to keep up with what you lose due to sweat. Stretching your hamstrings and calves may not prevent injury, but you may find them tightened by the running and it can feel good to do.